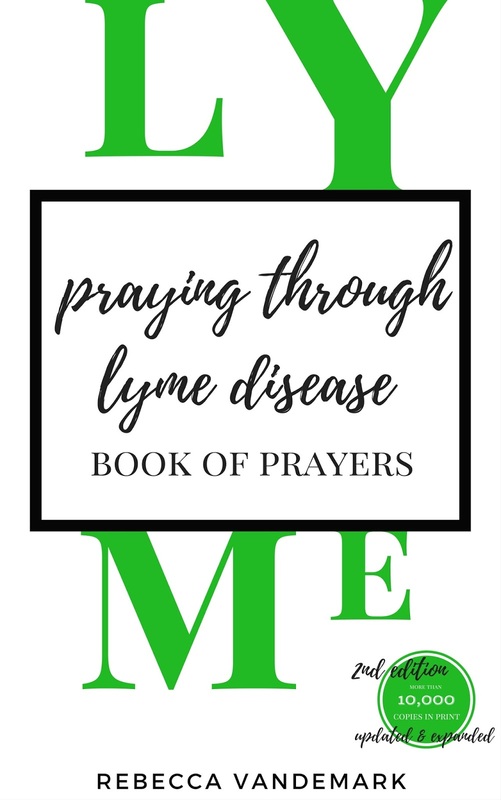 Today I am so excited to share with y'all the final cover design for Praying Through Lyme Disease (the 2nd edition)! As I shared a couple of weeks ago I am thrilled that the 2nd edition will release on June 1st! This 2nd edition has been expanded and updated and I am excited for these changes that keep the original content yet add to the book some exciting extra details. I am truly so overwhelmed and humbled by the beautiful support and reviews that this book receives. It is hard to believe that there are more than 10,000 copies of this book in print. It truly overwhelms my heart. 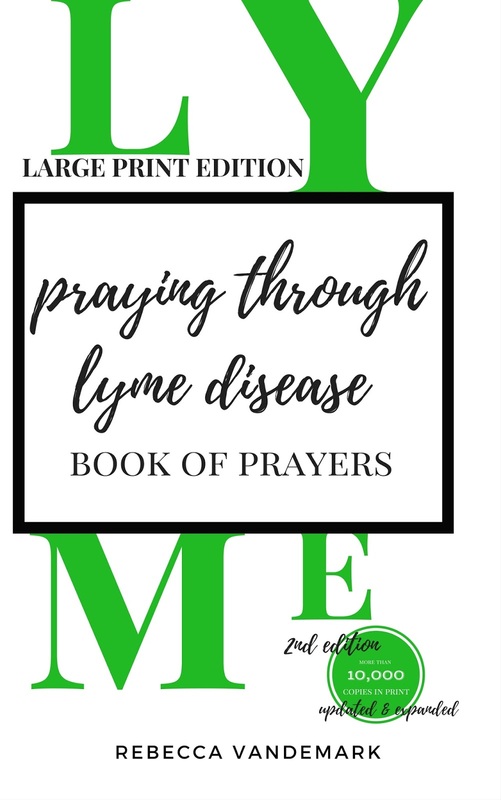 I also shared a couple of weeks ago that I am so excited that Praying through Lyme Disease the 2nd edition will be released in a Large Print Format. For the past several years (actually starting on the exact day that Praying through Lyme Disease was released!) I started receiving emails asking for a large print version. This has been in the works for a couple of years so I am thrilled and excited for this to be available also on June 1st! If you would be interested in receiving a free digital copy of the book in exchange for posting a review on Amazon AND on Goodreads (these can be the same review) during the month of June I would love to hear from you. Please email me or leave a comment below! If you are looking for ways to help spread the word about this book and are an influencer online who would be willing to share more about this 2nd edition please feel free to contact me! I am so incredibly blessed by each of you. Thank you so much for your support of all of my writing and books, including the support and love I have received for When Truth Refreshes that released last week! I am truly so blessed! Happy Monday friends! I hope that you have a wonderful start to this week!